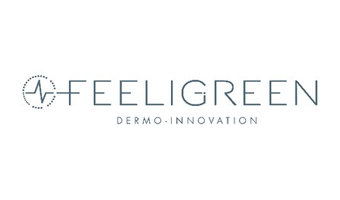 Feeligreen is a French start-up developing innovative skincare and body care connected devices and patches for the cosmetics and medical industries. The Company’s know-how and Intellectual Property relies on micro-current (« iontophoresis ») and light therapy technologies improving drugs penetration through the human’s skin. Originated from Grasse in France, famous Fragrance place in the world, the Company received numerous professional awards and recognition from the market.